I’ll admit it: I’m not usually a fan of burly backpacking boots. They can be heavy, clunky, and hot, not to mention aesthetically offensive. 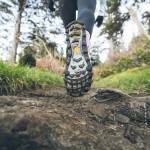 I’ve scrambled up many a mountain in trail runners and even topped out wearing sandals on a few occasions. But there are times when you just need the full support of a boot. So I decided to give these a chance. In short: This is an update to the popular Vasque St. Elias GTX Boot. The “FG” in the name refers to full-grain leather. The upper is constructed of 2.2mm waterproof, full-grain leather with a Nappa leather collar. This edition also has updated eyelets and weighs in a few ounces less than the previous model. I’ve worn these boots for several low-mile hikes. It was rainy and wet on a few occasions, with outside temps ranging from 45 to 60 degrees. And while I wasn’t hauling much gear for these outings, I did have my daughter in a child carrier on my back (the equivalent of a 22-pound pack). The St. Elias boots fall in the middle on weight. At 2 pounds 15 ounces per pair, they’re not ultralight by any means, but they won’t weigh you down either. I was pleasantly surprised out how light and flexible they felt right out of the box. The most surprising thing, though, was the immediate comfort. I slid my foot in initially, ready for a heavy, tight-boot squeeze. But it never came. From the very first moment I laced them up, these boots felt great — so much so that I happily continued wearing them around the house post-hike. 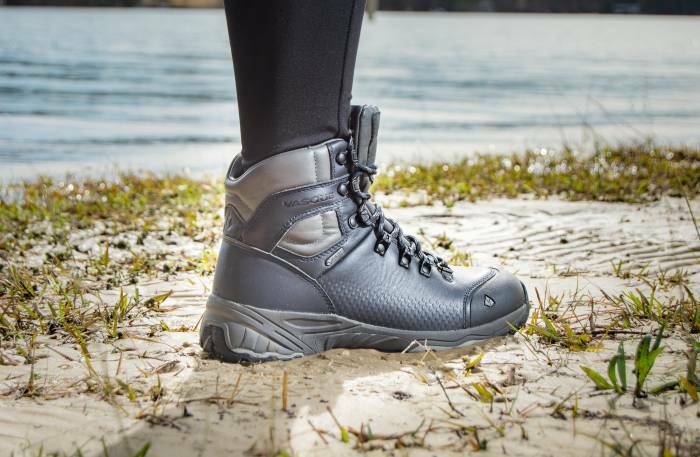 These boots provide full ankle support without rubbing or feeling overly constrictive. The collar is soft in all the right places, and I was able to adjust the laces to easily find the sweet spot of a snug yet comfortable fit. I found it offered a good combo of sturdy support needed for carrying heavy loads and the impact cushioning necessary for all-day comfort. This makes the St. Elias a good choice for multiday backpacking or hunting trips. I didn’t do any major river crossings, but I never had a problem with slipping on rain-soaked, mixed terrain. The molded rubber toe cap keeps toes protected and should help with overall durability. I can vouch that the GORE-TEX membrane did keep my feet dry while puddle-hopping. But the main concern with waterproof hiking boots is overheating. I never had any problems with this, but I also didn’t test these in temps over 60 degrees. On a hot summer day, these might be too much boot. But that’s really a matter of personal preference. 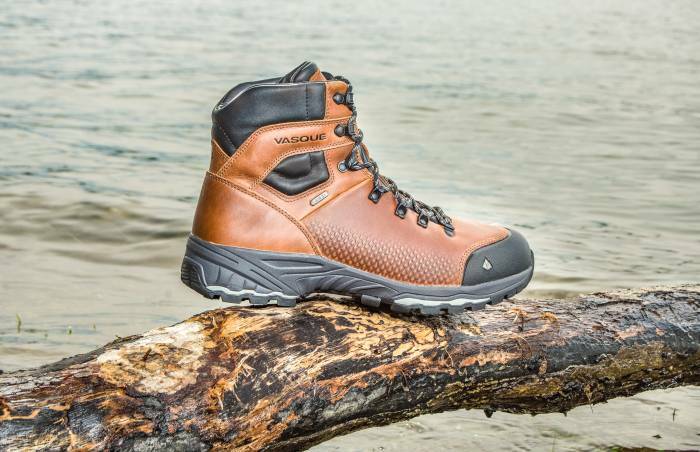 All in all, the new Vasque St. Elias FG GTX Hiking boots check all the major boxes for comfort, stability, traction, weight, and water resistance. 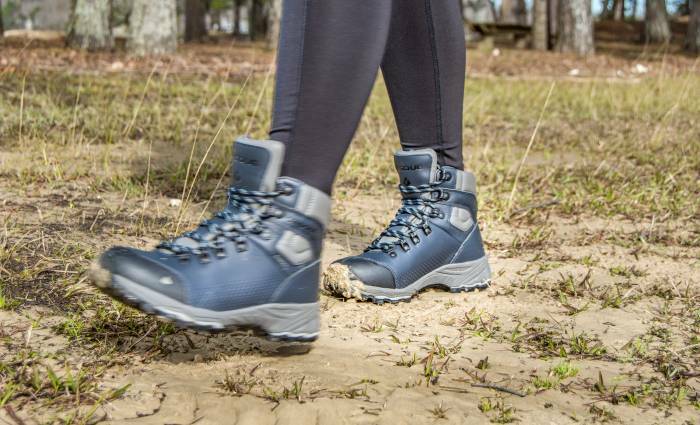 Anyone looking for a midweight boot for summer hiking or backpacking big miles should consider the St. Elias. 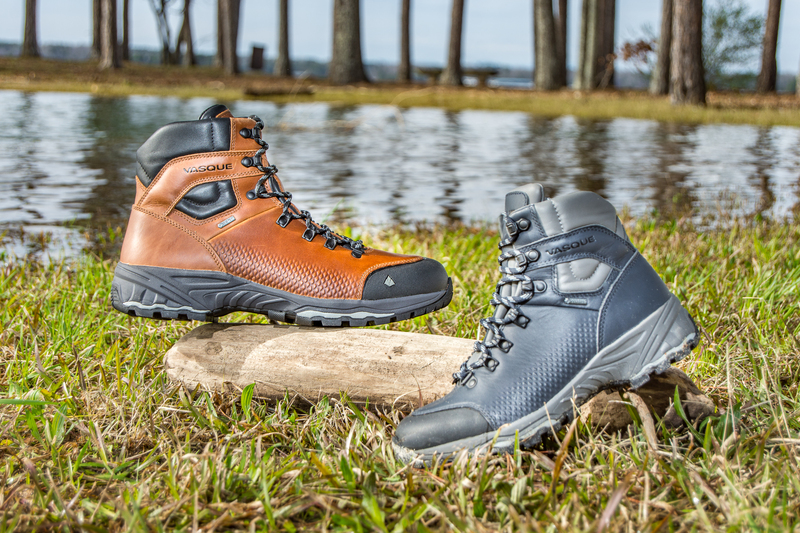 The full-grain leather looks great, and the GORE-TEX waterproof membrane will keep feet dry. Best of all, they’re comfortable right out of the box and immediately ready for adventure.